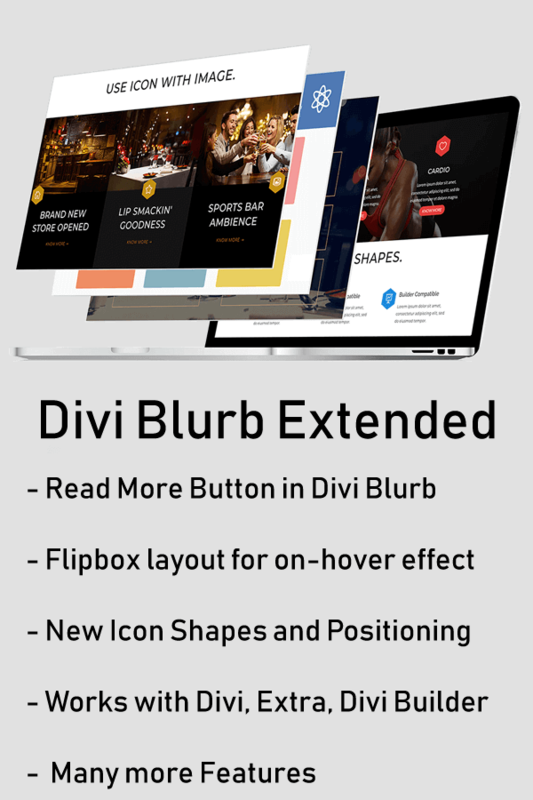 Divi Blurb Extended is a plugin which adds a new module in Divi library to add more features in Divi blurb. Read more button within blurb. Flipbox layout with image or color selection option on both sides. Only show blurb title. Hover to show content. Icon position on the right side along with left and top. New square and hexagon icon shape. Use image and icon at the same time. Option to create a border around the blurb. 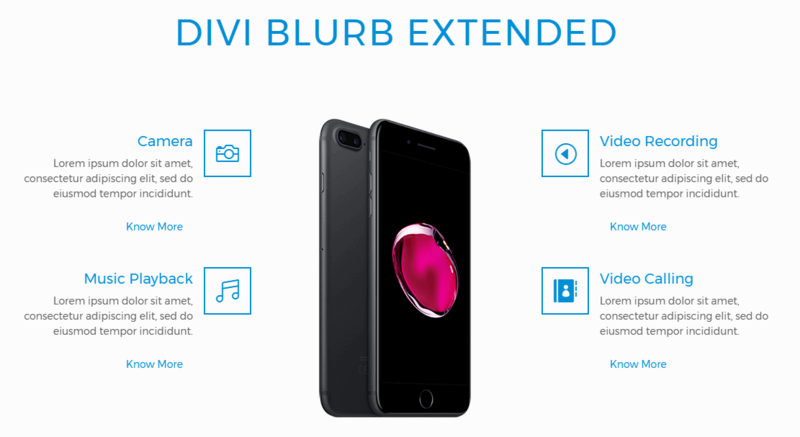 Check out the plugin demo to see the implementation of Divi Blurb Extended. The plugin has many options for customizing the blurbs and to give any Divi, Extra or Divi Builder based page a beautiful look. Is this visual builder compatible? Not fully so some functions will have to be amended in the normal divi builder. Yes, It is. Divi Blurb Extended is now fully compatible with visual builder. *Fixed: Fixed icon visibility issue in flipbox for Safari browser. * Fixed: Unable to add new module on VB when using easebox layout. * Fixed: Image size issue for different layouts. * Fixed: Image size on easebox layout. * Improvement: Improved CSS for easebox layout. * Improvement: Changed Default Module Values. * Added: Full Visual Builder Support. * Added: Content background color control. * Fixed: Image sizing control. * Fixed: Icon display issue on visual builder. * Improvement: Improved module structure. * Fixed: Fixed issue causing read more button color not changing on hover. * Fixed: Fixed target attribute issue of the read more button. * Fixed: Fixed compatibility issues with the latest version of Divi. * Fixed issue causing Easebox not working properly on Mac. * Fixed compatibility issue with older versions of Divi. * Fixed issue causing Flipbox and Easebox not working properly. * Fixed Flipbox borders issue. * Fixed Blurb content not coming issue. * Compatibility with Divi 3.2.2 and older versions. * Enabled Partial support for Divi Visual Builder. * Optimized CSS & JS according to new Divi standard. 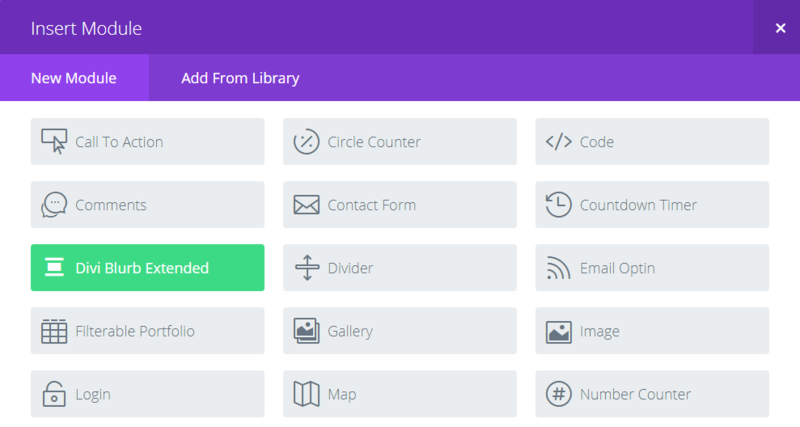 * Setup new folder structure according to the new Divi standard. * Added template(only layout files) overriding feature. * Fixed Flipbox layout for IE. * Fixed max width setting of the module. * Fixed the hover color problem of title. * Added compatibility for latest Divi/Extra/Builder version. * CSS Fixes for latest Divi version.